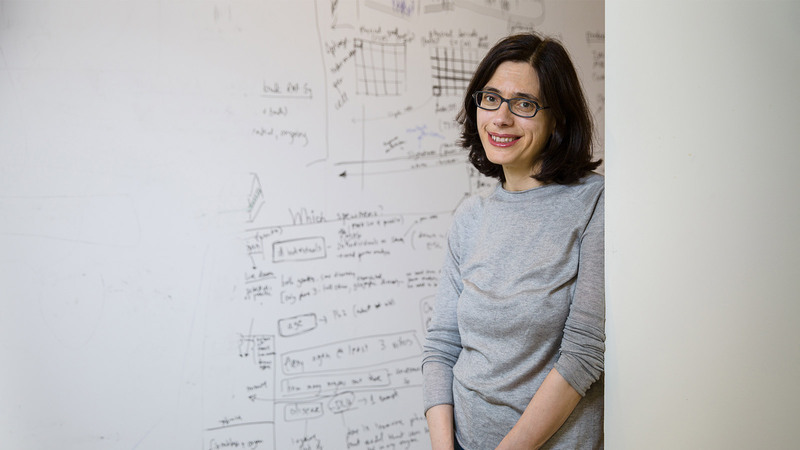 Aviv Regev pioneers the use of single-cell genomics and other techniques to dissect the molecular networks that regulate genes, define cells and tissues, and influence health and disease. We are interested in biological networks, gene regulation and evolution. Our work focuses on dissecting complex molecular networks to determine how they function and evolve in the face of genetic and environmental changes, as well as during differentiation, evolution and disease. A Cancer Cell Program Promotes T Cell Exclusion and Resistance to Checkpoint Blockade. Jerby-Arnon, L, Shah, P, Cuoco, MS, Rodman, C, Su, MJ, Melms, JC, Leeson, R, Kanodia, A, Mei, S, Lin, JR et al.. 2018. Cell 175, 984-997.e24. Genetic determinants of co-accessible chromatin regions in activated T cells across humans. Gate, RE, Cheng, CS, Aiden, AP, Siba, A, Tabaka, M, Lituiev, D, Machol, I, Gordon, MG, Subramaniam, M, Shamim, M et al.. 2018. Nat. Genet. 50, 1140-1150. BROCKMAN: deciphering variance in epigenomic regulators by k-mer factorization. de Boer, CG, Regev, A. 2018. BMC Bioinformatics 19, 253. Efficient Generation of Transcriptomic Profiles by Random Composite Measurements. Cleary, B, Cong, L, Cheung, A, Lander, ES, Regev, A. 2017. Cell 171, 1424-1436.e18. A single-cell survey of the small intestinal epithelium. Haber, AL, Biton, M, Rogel, N, Herbst, RH, Shekhar, K, Smillie, C, Burgin, G, Delorey, TM, Howitt, MR, Katz, Y et al.. 2017. Nature 551, 333-339. Massively parallel single-nucleus RNA-seq with DroNc-seq. Habib, N, Avraham-Davidi, I, Basu, A, Burks, T, Shekhar, K, Hofree, M, Choudhury, SR, Aguet, F, Gelfand, E, Ardlie, K et al.. 2017. Nat. Methods 14, 955-958. Scaling single-cell genomics from phenomenology to mechanism. Tanay, A, Regev, A. 2017. Nature 541, 331-338. Perturb-Seq: Dissecting Molecular Circuits with Scalable Single-Cell RNA Profiling of Pooled Genetic Screens. Dixit, A, Parnas, O, Li, B, Chen, J, Fulco, CP, Jerby-Arnon, L, Marjanovic, ND, Dionne, D, Burks, T, Raychowdhury, R et al.. 2016. Cell 167, 1853-1866.e17. Writ large: Genomic dissection of the effect of cellular environment on immune response. Yosef, N, Regev, A. 2016. Science 354, 64-68. Div-Seq: Single-nucleus RNA-Seq reveals dynamics of rare adult newborn neurons. Habib, N, Li, Y, Heidenreich, M, Swiech, L, Avraham-Davidi, I, Trombetta, JJ, Hession, C, Zhang, F, Regev, A. 2016. Science 353, 925-8.